The German health insurance system made simple - made in Germany. Meet our English speaking experts - we find your taylormade healthcare for Germany without paperwork. Welcome to FinanzSchneiderei, Germany´s most visited expatriate broker and the premier online comparison website for international health insurance. For expats the German Health system can be really confusing and difficult to unterstand at first sight. Our experienced experts for German insurance are looking forward to answer your questions - for free, independent and competently. Together we will find an "customized" insurance which covers all your needs. 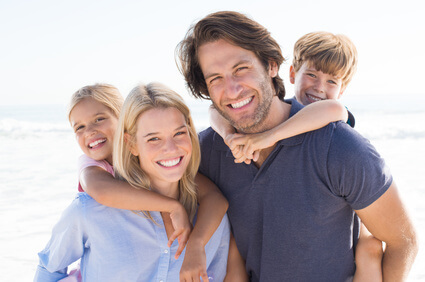 If you are either living overseas or planning to begin the expatriate life in Germany then you will be able to find all of the best international medical insurance companies online in a comparison table, which is simple to use and easy to understand. With more agreements in place with more international health insurance companies, Finanzschneiderei is considered to be the most comprehensive expatriate international insurance website for people working or studying in Germany. If you are looking to get the best deals on your international health insurance plan or need advice regarding insurance then look no further than FinanzSchneiderei and get your free quotes and comparisons today. A health insurance reimburses you high costs in case of illness or accidents, including necessary medication. The German health insurance is divided into two systems - the statutory health insurance (SHI) and the private health insurance (PHI). Since 2009 a general health insurance obligation requires Germans and everyone living in Germany to be health insured. This must also include coverage for certain medical check-ups and pregnancy. It is important to understand the health system in order to filter out the most suitable plan for you while living in Germany. A private health insurance is especially interesting for young and healthy people, as the contribution amount is calculated out of the age, health status and scope of services, regardless of income. Also for employer or employees with a high income, civil servants, freelancers and self-employed persons private health insurer are particularly low, because the contribution doesn't depend on earnings. As you see, the PHI can be cheaper than the SHI in many cases and offers you a higher scope of services, like for example shorter waiting times for treatments or doctors speaking your native language. In general, private health plans cover a wider choice of medical and dental treatments and provide broad geographical coverage. Additional services can be individually designed and adapted to the customer, even for statutory health insured persons. Approximately 80% of the people in Germany are members of the statutory health insurance system. Customers are often employees and pensioners. The contributions can be calculated from the income with a rate of 15% of the earnings and an additional contribution of 1%. So people with a high income have to pay more an should think about if it s more profitable to change to a private health plan, which insures people independent of their earnings. Let our experts help you - whether for a comprehensive health insurance or additional insurance to the statutory health insurance - we advise you independently and competently. 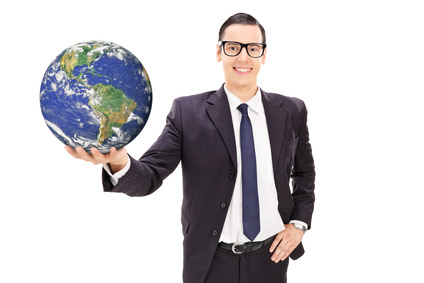 The European health insurance offers millions of customers worldwide the best benefits and favorable contributions. Although international insurance companies, so-called EWR service providers, are still largely unknown in Germany, more and more people are opting for EU health insurance. The German private health insurance and the European health insurance are in comparison with the scope of services on a similar high level - but usually much cheaper. Neither penalties nor credit- or health checks are required to be admitted. 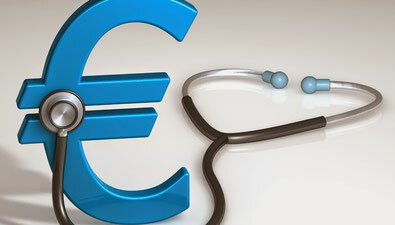 The European health insurance currently protects many people in Germany, also non-insured ones, from expensive treatment costs in case of illness, but the companies from neighboring EU countries can not replace a German substitutive private health insurance. EWR service providers are European health insurance companies that are authorized to offer their insurance to all persons in the European Union. So what has long been practice in Europe is finally gaining importance in Germany as well. However, due to German jurisdiction the tariffs offered do not or only partially correspond to the health insurance obligation applicable in this country. Although the offers from the EU can cover free choice of doctor, treatment as a private patient or comfortable head physician treatment - a German private or statutory health insurance can not replace international companies. Our conclusion: The EEA service providers offer favorable tariffs with good services. However, the requirements of a compulsory insurance acc. §193 VVG are not completely fulfilled and can not replace a German private or statutory health insurance. The contracts are valid in accordance with the Schengen Visa Code as a proof of travel health insurance as a condition for stays in Germany. People who want to immigrate to Germany and thus seeking permanent residency have to take out health insurance to be issued with a German Visa. If you are a citizen of a Member State of the EU have the right to live in any country of the EU. You have to demonstrate sufficient mean of subsistence to earn a residence in Germany. In addition you have to transact a German health insurance. Immigrants from countries requiring a visa to enter Germany must already have health insurance coverage at the time of entry. Depending on whether or not an immigrant is gainfully employed, different conditions apply.